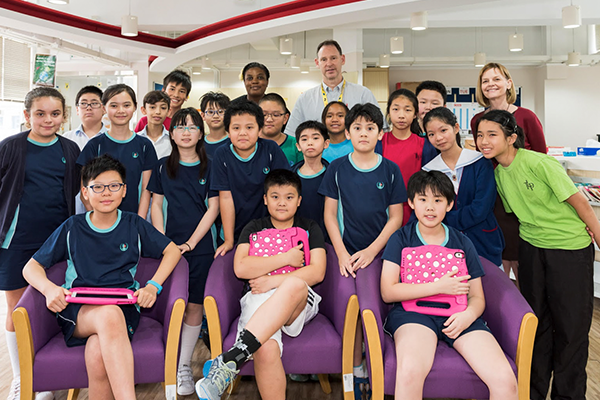 The Hong Kong Battle of the Books is in its 17th year, created to encourage students to read through a fun competitive trivia quiz format. Book lists are released every year with practice questions for schools to share with students. One would think there could be nothing new with the long-running program. However ASHK is leveraging every aspect to meet the learning needs and diverse interests of its student body. How? By creating teams within the school and incorporating one of the four book lists on offer to match reading levels. ASHK's very first friendly battle versus neighboring Law Ting Pong Secondary School took place on May 5th. Who knows? Perhaps ASHK will battle another Esol Education school over Skype in the near future! Google “Hong Kong Battle of the Books,” have a look, and get in touch so we can plan for academic year 2017-2018!